Has anyone ever told you that you don’t know squat? Well, by the time you read this article, you will know just about everything about squat. The squat is a weightlifting move which focuses on building muscle – serious muscle – for competitive weightlifters. Yet, at the same time, it is an exercise which, properly executed, can bring improved health and fitness to everyday weight training. Let’s start out, by looking at the evolution of weightlifting and powerlifting both as a sport, and as a health and fitness routine. Competitive weightlifting began to evolve in western Europe in the middle of the 19th century. However, weightlifting has been used as a measure of fitness and strength for centuries before that. The ability to life weight was a condition to entering the military in ancient China. Documents and pictorials show the ancient Greeks doing body weight exercises like rope climbing, and lifting and throwing heavy stones to help develop their strength to do battle. The original weightlifting competitions featured such personae as the circus strong man in the side-show tent, purportedly lifting amazing quantities of weight. This evolved into somewhat organized competitions in Europe in the 1890s, culminating by an introduction into the Olympic Games in 1896. Weightlifting remained a Eurocentric sport, as barbells and free weights were virtually unseen in the US. In 1902, however, the Milo Barbell Company opened in Philadelphia, making weightlifting equipment much more available in America. Weightlifting bounced in and out of the Olympics for the next few games, and became part of the Olympics for good in the 1920 games. Exhibitions and feats of strength continued to be popular through the 1950s, and gaining strength was a common advertising scheme. Any baby boomer that read comic books in this era will remember the guy on the beach getting sand kicked in his face, until he got muscular and won the girl back. Charles Atlas was famous for his feats of strength, including pulling cars and even train cars. “World’s Strongest Man” contests continued to grow in popularity, as a young Austrian named Arnold Schwarzenegger captured the eyes of the world with his bodybuilding progress. Let’s close this section by agreeing that weightlifting and powerlifting have a place both in American history, and in the future also. Strength is still considered to be a desirable trait, and the role of weightlifting in general health improvement is well documented. The squat is one of the most basic weightlifting moves. It was initially called the “deep knee bend”, and began to evolve as a recognized move in the early 1900s. The initial move was done lifting relatively light weights repetitively, with the lifter balanced on his toes, heels in the air. The weight is put across the back of the neck on the shoulders, and the lifter bends down until the thighs are roughly parallel to the ground. From that position, the lifter then pushes back up to the original position, driving upward with his legs. The move is then repeated for a set number of times. The move we know as the squat today started to gain popularity in Europe following World War I. At this time, it became a powerlifting move more than a repetitive lifting move as the deep knee bend. The first recognized squat contest took place in Germany, and was won with a lift of over 500 pounds. The lift became known in America in the early 1920s. Initially, the lifter had to move the bar from the floor to his chest, lift the weight over his head, then lower it down to rest on the shoulders. This limited the weight that could be squatted. A lifter named Steinborn developed a different technique to get the bar on the shoulders. He would raise one end of the bar so it was in a near-vertical position, then move under the bar, rest it on his shoulders, then get the other end of the bar on the other shoulder. This new method helped lifters to increase their overall weight lift; Steinborn, for example, at 210 pounds body weight, could squat 530 pounds using this method. As this lift grew in popularity in the 1920s and 1930s, it spawned the development of the squat rack. This allowed lifters to lift even greater amounts of weight, leading to a current record squat of 450 kilos (992 pounds). The squat rack became the precursor to the power rack, which offers even more lifting options and flexibility; however, the focus of this article will be on the squat rack. To use the rack, the lifter will stand between the uprights, with the bar set at an appropriate level for his height. His knees should be slightly bent as the gets the bar to his shoulders. He will then straighten his knees to get the bar off the pegs, take a slight step forward to clear the rack, and then begin his repetitions of squats. As he finished, he reverses this procedure to put the bar back on the rack. While this is referred to as a squat rack, it can also be used for many other lifts, including the bench press, floor press, clean pulls, and pull-ups. While we will not discuss these moves in detail here, they are described fully on many different Internet sites. 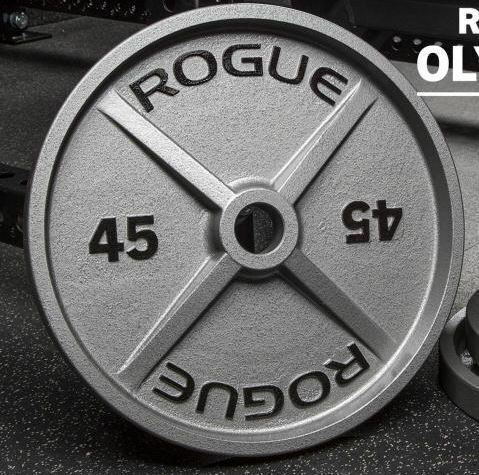 In this section, we’ll list out then squat racks offered by Rogue Fitness. For each rack, we will take a high level look at the best features of the rack, assign it to a price range noted following this table, and assign an overall rating to each of the racks. Some of these racks have hundreds of customer reviews on the Rogue site; others have none or just a few. The assigned ratings here are based on my perceptions of the overall functionality, features, and value of the squat racks. 2 SML-2 Rogue 90″ Monster Lite Squat Stand A solid rack with everything you need to get started, and several customizable options available. 3 Rogue S-4 Squat Stand 2.0 Known as an “indy” rack, it features two separate upright sections. Rated to 1000 pounds. 4 Rogue SM-1 Monster Squat Stand 2.0 Part squat rack, part power rack. Heavy duty combination unit, customizable. 5 Rogue Mono Stand A special type of stand with movable uprights to make it easier for the lifter to clear the bar. 6 Rogue Combo Rack This combo rack features a built-in bench for presses, plus high-end features as a squat rack. 7 Rogue KS-1 Kids Squat Stand A squat stand built specifically for the junior lifter; it is compatible with other Rogue products for kids. 8 Rogue Echo Squat Stand 2.0 A basic rack focusing on functionality and space utilization, rather than adding lots of bells and whistles. 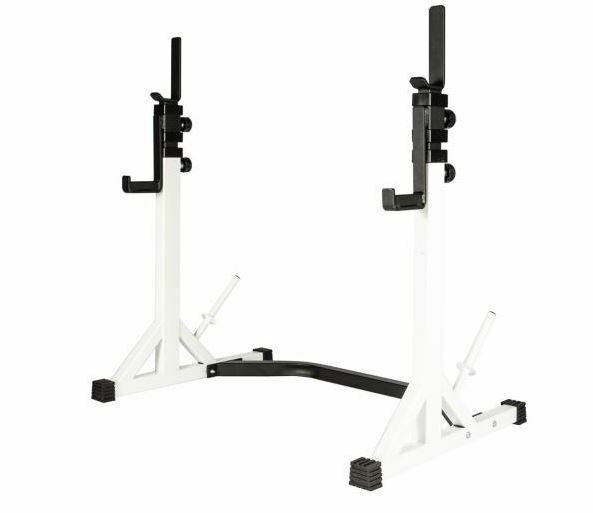 9 York FTS Squat Stand A basic unit, with adjustable uprights to support bench and squat work. 10 S-1 to S-2 Conversion Kit Conversion kit which gives you additional flexibility like a pull-up bar. Weightlifters typically work out in one of three categories: powerlifting, weightlifting, and weight training. As we begin to review these ten squat racks, we will look at them from the perspective of weightlifting and weight training. To explain the difference between the two, weight training is generally selected when the user wants to improve their overall health and body toning. The idea is not to gain significant muscle growth, but to gain some muscle to add to overall conditioning and fitness, supporting weight loss, and general health improvements. Weight training normally uses lighter weights, with multiple repetitions, in multiple sets. In addition to squats, bench presses are typically a part of a weight training program. Weightlifting will mostly use heavier weights, lifted a few times until failure. This method promotes heavier muscle growth than weight training, and will lead to greater overall strength. Squats are usually an important part of a weightlifting program. So, knowing that a squat rack can be used for multiple lifts and has different functions, let’s take a look at some of the key features and specifications that will influence you as you select a rack for purchase. Simply put, how much weight can you safely put on the squat rack. While some of these racks, clearly note the weight capacity in the specifications section, others do not. For those that don’t, there are typically two indicators of the overall capacity. First are the options available. Many racks have the option to purchase plate sets with them. The sizing of the plate sets offered is a good indicator of overall strength of the rack. Second is the assembly hardware; larger sized uprights and heavier hardware are going to give you greater stability and strength than smaller hardware. This may not be a significant factor for the weight trainer, but could be for a weightlifter. To a large extent, stability goes hand in hand with weight capacity. Stability will also be influenced by the hardware configuration. However, stability will also be impacted by the overall footprint of the rack, the number of crosspieces between the vertical bars, and whether or not the rack has to be anchored to the floor. How well the squat rack provides for the safety of the lifter, should be a primary consideration for any purchaser. Brackets mounted to the rack, keep the bar contained prior to the lift, and allow a place to set the bar after the lift. Secondary brackets may be needed in the event of failing to conclude a lift. Racks typically have either an L cup (shaped like the letter L) or J cup (shaped like the letter J). The J cup was an upward curl, which helps hold the bar safely in position. The L cup has a perpendicular joint, which might allow movement of the bar off the cup. Some racks also have optional safety arms, which extend further from the vertical bars, and give even greater security should a lift fail. The length of the uprights can be a factor for two reasons. The first relates to the placement of the unit. For rooms such as a basement, with a low ceiling, a long upright might be an issue, and push you toward a shorter unit. Second, many units feature a pull-up bar across the top of the two vertical uprights. The height of the uprights will dictate the height of the pull-up bar, and whether or not you can do full body length pull-up, or bent knee pull-ups. Holes are drilled in the upright bars for insertion of the J cups or safety arms. The typical spacing is called Westside spacing, and refers to the distance between the holes. In the better units, spacing will be 1” apart in the bench press area of the bar, and 2” spacing above and below that area. Lower end units may have as much as six-inch spacing between the holes. A desirable option is numbering the holes, which makes placing the J-cups at the same level obvious, instead of a trial and error approach. The footprint is the overall floor space that the unit will take up. This measure has two potential impacts. First is the amount of space the unit will take up in your weight room, garage, or basement. You may be driven to a particular unit because of the availability or lack of space for your choice. Secondly, the width portion of the footprint gives you the working area of the rack; it indicates the distance between the upright lengths, and shows the amount of side-to-side area you will have for your lifts. As we noted in the capacity and stability discussions, the hardware is key to the overall stability, and hence safety, or the unit. Depending on the stress put on the unit based on the weights of the bar and plates, you may opt to go to heavier 3” x 3” posts, while other lighter units may feature 2” x 2” posts. Assembly hardware will typically range for ½” to 1”, again dependent on the overall strength and stability expected of the unit. As we go through the detail on these units, you’ll note that some are fairly basic, while others are dressed out with more bells and whistles. Optional equipment can include bars and weights, wheel brackets to make it easier to move the equipment, safety bars, fixed or adjustable position benches, and right down to the choice of color. Your budget and personal preferences will help you determine whether to buy that upper end model now, or buy a more basic unit and add options to it over time. Admit it or not, price is always an important consideration when making a purchase. But the lifter should consider not only price, but also the overall value of the squat rack. He should make a list of the must have features, the nice to have features, and the bells and whistles, or unnecessary features for his needs. This list, combined with the price, should give the purchaser a good indication of which squat rack gives the best value for his personal situation and needs. So, now you have some high-level information about a variety of squat records, an indication of the price range for each of them, and some data on features and specifications that may or may not be important to you. So, what other items will factor into making your decision which rack to purchase? Let’s start with the obvious question – Do you really want (or need) to buy a squat rack? It is, after all, somewhat of a specialty item. Are squats that important in your lifting routine that it justifies a separate piece of equipment? A squat rack does have flexibility to perform lifts other than squats, but maybe a power rack is a better purchase. Then again, the power racks could be pricier, and you may or may not need all the flexibility they offer. Another option might be to use the money you’d spend on the rack to join a gym, and use their equipment. The answer here will be a pretty good starting point in evaluating the other factors that come into play. You’ve made the decision to buy a squat rack. Where are you going to put it? Your basement might be damp and dingy, your wife may scream if you take over the guest room, and putting it in the garage means a car stays outside. Footprint may be an important characteristic in this decision, and things like finish and resistance to oxidation may also factor in. Do you already have a bar and plates, or will you be buying them at the same time as the rack? If you have them, make sure that they will be fully compatible with the rack, and with the safety systems of the rack, whether J or L cup, or safety bars. You should be starting to get a feel of how this all comes together – requirements, needs, features, specifications, and value. Let’s look at each of these squat racks individually, and then do a comparison to drive down to the best racks out of this list. This is a “Monster Lite” rack, a cross between Rogue’s Monster series and their S series squat racks. This is a fairly heavy-duty rack, with a lot of available options, including eleven different colors to choose from. There are many different configurations available depending on how it is set up, and which options are ordered. This rack is made from heavy 3” x 3” x 11-gauge steel uprights, supported by 2” x 2” x 11-gauge steel bases, assembled with 5/8” hardware. The unit has a footprint of 49” x 48”, leaving a good interior lifting area. J cups comes as standard on this rack, with optional available safety spotter arms. It has a 157-pound assembled weight, with a 1000-pound weight capacity. Westside hole spacing is 1” in the bench area, for greater flexibility in placement of brackets for bench presses. Spacing is 2” above and below the bench press area. This rack comes with an adjustable fat/skinny (two different diameter bars for varying grips) pull-up bar. With a $$ price, this is an affordable Hybrid Monster/S series rack. Reviewers are very happy with the ease of assembly. An overall height of 92” for this rack may present some constraints in lower ceiling areas. This is the first of ten racks to be reviewed, but it’s hard not to get excited about the combination of features, durability, and price of this squat rack. Eleven available colors let you dress the rack up, and optional features give you room to grow in the future. The 1000-pound capacity makes certain pretty much any lifter will not run out of capacity. This squat rack looks and acts like several of the Rogue power racks as far as strength and versatility. Quite affordable in the $$ price range, it has several available options, much like the SML-2C above. You can start out with the basic unit and add to it as your needs and budget require. The 49” x 48” footprint supports a 1000-pound weight capacity, and a 92” height. While safety spotter arms are available as optional equipment, J cups come standard with the rack. Given the 157-pound weight, wheel brackets might be a good option if the rack needs to be moved frequently. The squat rack can be configured with a combination fat/skinny bar, or a single skinny bar. One-inch Westside spacing gives additional flexibility for bench presses and clean pulls. Available floor mounting feet let you securely fasten the rack down for added stability. The 92” height might be a constraint if the machine needs to go into a low ceiling area. This rack and its close cousin, the SML-2C, are virtually identical machines in form and functionality. With a lifetime warranty, various configuration options, and a $$ price, this is an exceptional value machine. This is very close to a power rack, without the power rack pricing. An excellent option to the novice lifter, or for an experience lifter wanting to expand his equipment. This independent squat rack is made up of two completely separate upright assemblies, each self-standing with a 26” by 22” base for excellent stability. With the small base and easy portability, this would be a good squat unit for the lifter with space constraints. With only a 72” height, while you may sacrifice the pullup bar, you gain flexibility for placement of the rack, without worrying about height or floor space issues. The unit is made from 2” x 3” x 11-gauge steel uprights, and 7-gauge (note that lower gauge numbers indicate thicker steel) base pieces, all assembled with 5/8” hardware. Other than a bench, not much is available for optional equipment. What you see is what you get. As mentioned, the overall dimensions of this unit make it appropriate for virtually any space or height situation. The standard equipment rubber feet protect your flooring and increase stability by preventing movement. A very good entry level squat rack, with good basic functionality at a $$ price. The separate units need to be properly set up, parallel to each other, to avoid the bar being placed at an angle and not dropping into the standard J cups properly. Safety arm bars are not available as an option for this equipment. Some lifters will prefer the low profile and independent character of the uprights, while others may prefer an assembled unit that stays that way. It comes down to personal preference. Many reviewers gave it high grades for overall stability, and the easy storage could be a major benefit depending on your space situation. 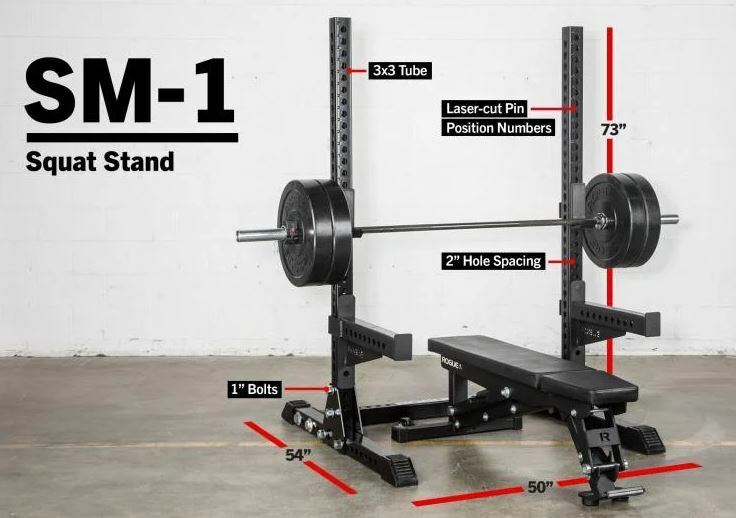 The SM-1 is a crossover unit between a squat rack and a power rack. It features a relatively small footprint, and a fairly low height, which makes it suitable for smaller spaces and lower ceilings. While no weight is given in the specifications, with 3” x 3” x 11-gauge construction, it’s not going to be very portable. It comes with several options, including safety bars, a safety strap system and three different bench options. The squat rack has a compact 54” x 50” footprint, and checks in at only 73” high, making it perfect for areas with a low ceiling, or limited space. The rack has a capacity of > 1000-pounds, and is assembled with 1” hardware for extra strength, durability, and safety. Laser cut, numbered holes make aligning the J cups fast and easy. This is a seriously heavy-duty squat rack, with over half a ton of plate capacity for even the most serious lifter. Compact and sturdy, this is a rack you will be passing on to your children. Extremely heavy duty, the satin-black powder coating will protect the rack from scratches and corrosion. Hole spacing is 2” throughout, so you lose some of the accuracy and flexibility available in other squat racks in the Rogue line. An outcome of the lower height of the unit, pull-up bars are not available on this rack. With a higher $$$ price, this unit might be out of reach for the day-to-day lifter, but, compared to the Mono Stand and Combo Rack, it really is a bargain. The strength and durability of the unit, matched with the available options and low space requirements make this an excellent choice for the serious lifter. This squat rack would be equally at home in a commercial establishment of collegiate or professional training room. 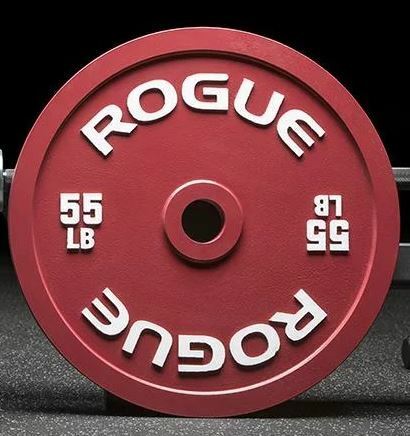 With the Rogue Mono stand, we are back to the beasts of squat racks. With this model, the uprights tilt forward. When the lifter gets the bar up off the rack, they snap back, so he can begin squatting without walking forward with the bar. This is a very heavy-duty rack, geared for the serious lifter. This rack can be assembled with either 43” width crossmembers or 30”, which gives you some flexibility in the floor space requirements and in the interior working area. The unit is constructed from 3” x 3” x 11-gauge rails, assembled with 5/8” hardware. Weighing 310-pounds, the squat rack has an 86” x 57” footprint, and is 78” high. Compatible with other Monster Lite machines, additional features like plate storage, safety arm bars, and a pull-up bar are optionally available. A serious machine for a serious lifter, it was designed with input from powerlifter Mark Bell. Westside spacing at 1”/2” is standard, and offers flexibility for bench work and squats. Pegs for resistance band work can be optionally added to the squat rack. Primarily because of the tilting uprights, the unit must be securely bolted to the floor. 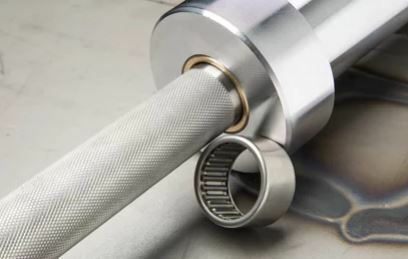 With a high end $$$ price (easily into $$$$ range with any options), this machine is only going to be of interest to very serious lifters, professional athletes, or commercial establishments. 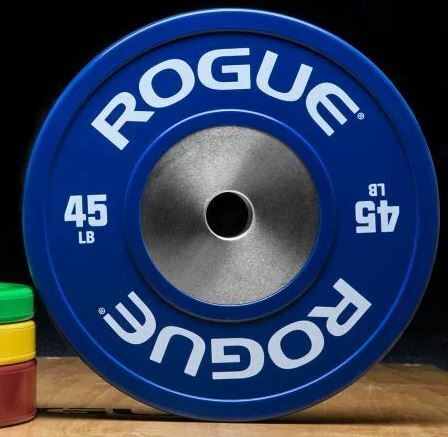 With virtually everything they make; Rouge covers the entire lifting spectrum – from novice to professional. Squat racks are not an exception. This is a high-end squat rack; not the Combo Rack, but not very far behind it. The main benefit of this rack, over other heavy-duty racks, is the tilting uprights, and I just don’t see that being a major consideration for the day-to-day lifter. This 500-pound bad boy is the ultimate beast of squat racks. It is certified for competition use by the International Powerlifting Federation (IPF). The combination of an integral bench tied to the squat rack gives the lifter many options for diverse lifting. Easy adjustments to the rack, and smooth additional or removal of equipment, like the bench, give this rack full versatility and ease of use. This squat rack is made completely from 3” x 3” x 7-gauge steel for the ultimate in strength and stability. Including the bench, the unit has a 77” x 80” footprint, with a 43” inside working width. Steel spotter arms come standard for enhanced safety. The adjustable uprights have standard 1”/2” Westside spacing, with laser cut number holes for easy alignment. Rubber feet offer additional protection for floors, and give the unit even more stability. Uprights can be set up either vertical, or angled in five degrees. This gives larger athletes the advantage of extra-width grip squats. Bar height adjustments are possible without removing the bar or plates, with a standard lever-arm adjustment system. The $$$$ price tag (think $$$$ times two) most likely relegates this combo rack to the gym, professional weight training room, or in the home of an elite athlete. It is more size and capability than the average lifter would need, but would be a nice diversion to use occasionally given access to a commercial facility so you could see how the pros do things. This is a custom-built machine that takes 6 – 8 weeks for delivery. If all you want is a squat rack, this is equivalent to bringing a dragster to a bike race. This rack is best placed in a college or professional weight training room, for elite athletes and cross-trainers. 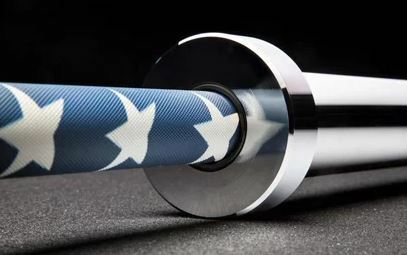 It is obviously built with that level of lifter in mind, and the IPF certification proves it is outside the realm of anything but competition level athletes. This is really a step change from the Combo Rack we just reviewed. This rack is geared specifically for the younger weightlifters in the crowd, with a 32” X 32” footprint, and 48” height. This is not a toy or gimmick; it is built from 2” x 2” steel uprights, and has a 150-pound capacity. 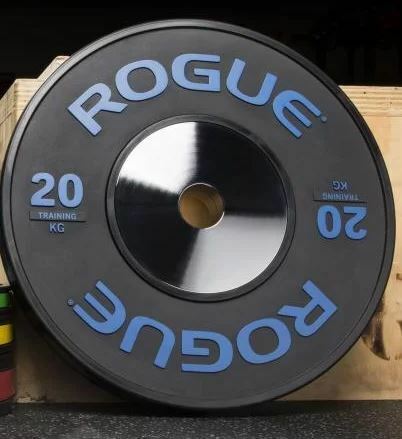 It is compatible with Rogue beginner barbells and plates. Put together from 11-gauge steel and ½” hardware, with 2” throughout Westside spacing, this youth squat rack clocks in at a solid 65-pounds. Finished in Rogue Red with black base pieces, this will make your child feel like he is using a competition -level squat rack. A very reasonably-priced $ squat rack, it is proportioned specifically for the younger lifter, with a 28” inner working width. 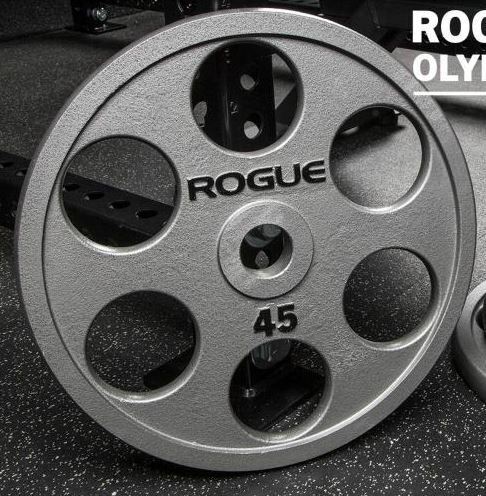 Compatibility with other Rogue barbells and plates allows you to easily assemble a full system for your child. The unit is not expandable, so eventually your youth will outgrow the rack. There is no corresponding bench available that is sized specifically for the squat rack. A worthy investment for the lifter that wants to share the weightlifting experience with his children. The rack itself is solid and durable, and while it might be outgrown, it won’t be worn out. Note that the child’s physician should be consulted before beginning a weight training program and this rack should only be used under the supervision of an adult. 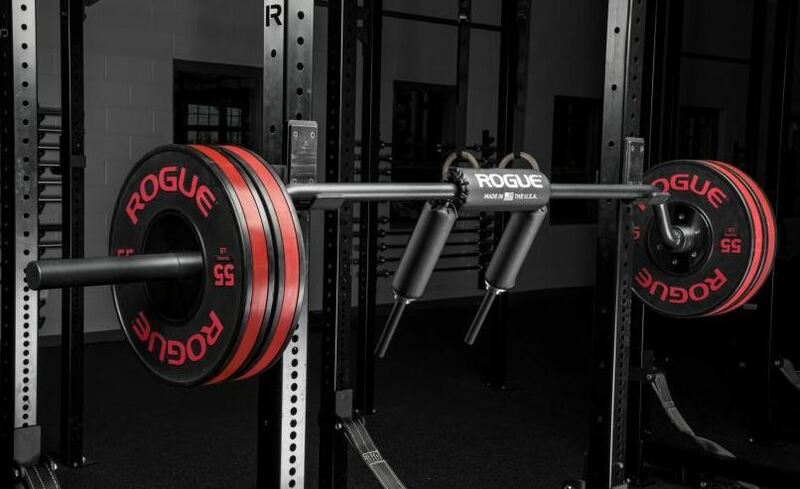 This rack is one of the value series of the Rogue squat rack line. You get a US made, fully functional rack, with no frills, but at an affordable $$ price. There is no upper end to this rack; what you see is what you get, and the only real options are a choice in benches. The Echo has a compact 48” x 48” footprint, with an inside working width of 43”. Consisting of 2” x 3” uprights and 2” x 2” crossmembers, assembled with ½” hardware, the unit is rated at 500-pounds, yet tested successfully at 1000-pounds. At 70” tall, it comes with plastic coated J cups and plastic base covers to protect your flooring. At 95-pounds, the unit could be moved around if used in a multi-purpose room. A really good entry level squat stand, this unit compares favorably to the S-1, and has strength and stability not available from imported racks. What you see is what you get. No options, no conversions, no upgrades are available with this unit. The squat stand features two-inch hole spacing throughout, limiting flexibility somewhat for presses and squats. 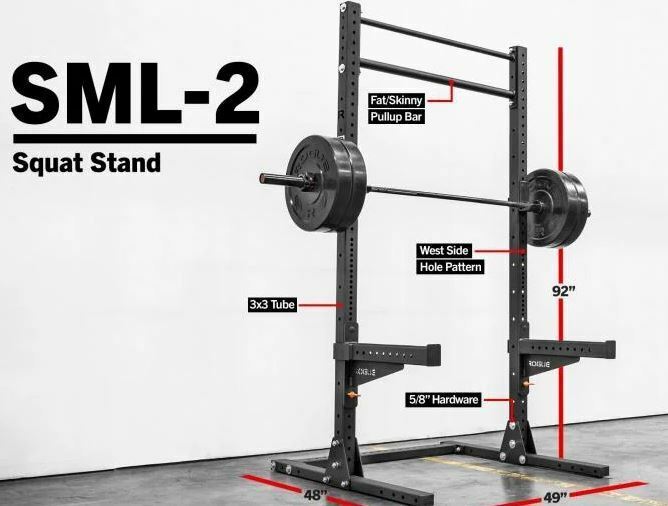 This is not a bad rack for the first purchase for a novice lifter, but given the limitations around upgrading or adding features, it might be better to start with a unit that could be upgraded later, like those in the SML series. If you have, for instance, a power rack and want to add a squat rack, this unit would certainly fit the bill. This is a very basic squat rack, geared primarily for squats and bench presses; there is not much additional functionality beyond that. The rack itself is adjustable for both squats and presses, with the primary difference that the J cups are welded to the frame, and the frame telescopes as the adjustment. Coated in basic white, this unit is 41” high by 49” wide by 35” deep. The rack has plate storage pegs at the rear, which, when loaded, will improve the stability of this squat rack. Built from 2” x 3” steel frame, the unit capacity is not noted, but it should be fairly strong. This rack delivers basis squat and press functionality, and is reasonably priced at $$. The rack adjusts in two-inch increments, from 41” to 61” for the squat lift, and from 29” to 49” for the bench press. Telescoping arms control the adjustment; J cups are permanently welded to the uprights. 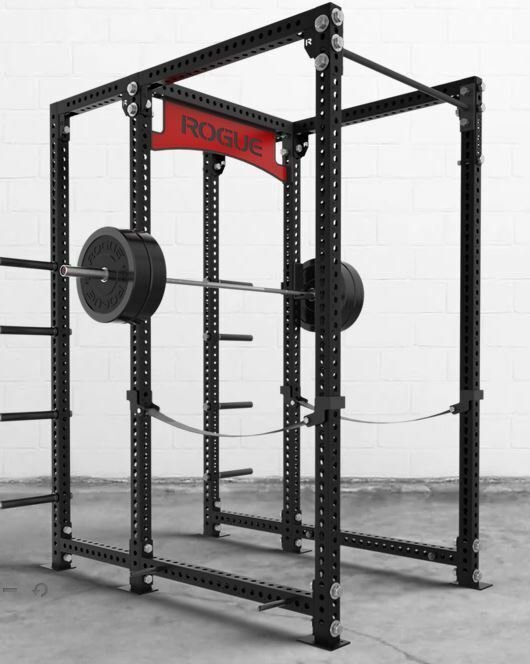 This is an imported squat rack, with only limited (two) reviews available on the Rogue site. The top cups that hold the bar for squats are metal, and are reported to scratch the coating on the barbell used. This unit is pretty basic, without some of the toys that the other $$ Rogue racks have. 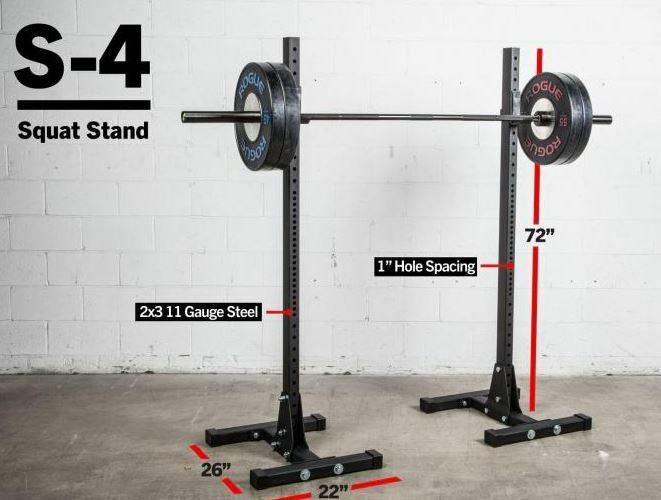 Considering the lower end 41” height, you could actually spend just a little more money, and have a rack that could be used for youth lifting (see above) and for adults. Overall, a functional unit, but it really does not stack up well against the rest of the Rogue lineup. This is a conversion kit to allow you to change the configuration of you Rogue S-1 squat rack (not reviewed here) into a Rogue S-2 squat rack. Obviously, unless you already have an S-1, you would not be interested in this; you’d just buy the S-2. 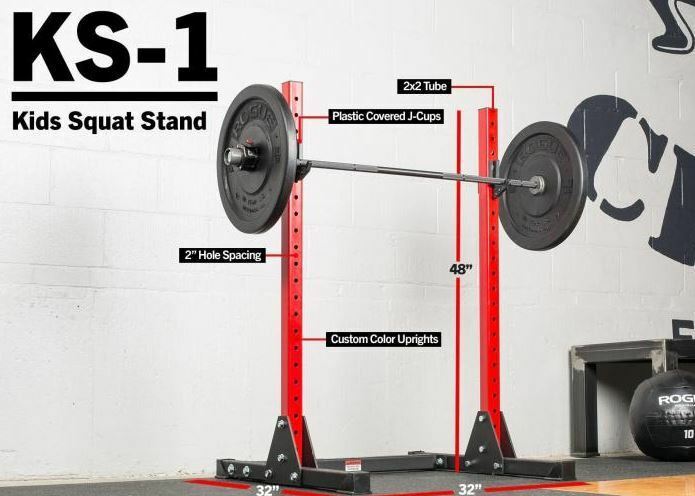 The S-2 is a good, basic squat rack, and you do gain some benefits by using the kit. The conversion kit consists of two longer upright bars, made of 2” x 3” x 11-gauge steel, using 5/8” hardware, which takes the height of the rack from 72” for the S-1 to a full 92” for the S-2. The height addition allows you to add a pull-up bar, either a combination fat-skinny bar or a plain skinny bar. The overall footprint is 48” x 48”, with the rack weighing out at 146-pounds. 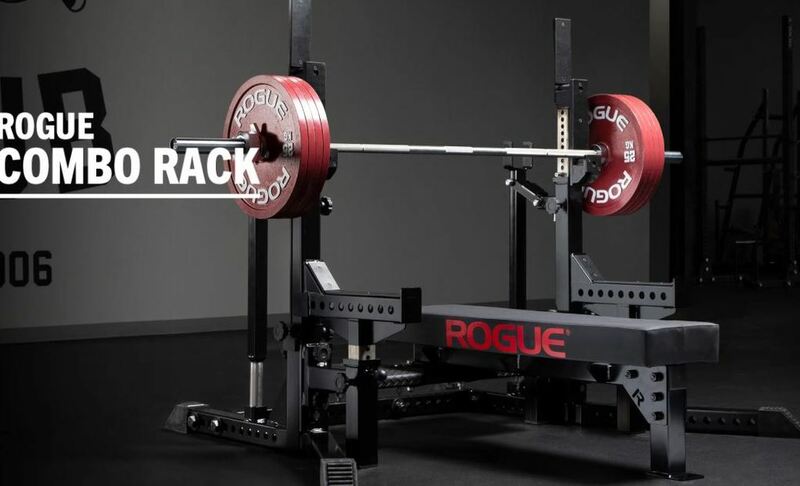 Following the conversion, the rack is rated for 1000-pounds of weight for the bar and plates. Converting to the S-2 allows you to add a dip stations, which allows you to do additional body weight exercises, and safety arm bars. Westside 1”/2” spacing is standard on this model, allowing tight adjustments for maximum comfort and lift capability. If you already purchased an S-1 and then add on the conversion kit, you will have spent a fair amount more than had you bought the S-2 in the beginning. Budget constraints may have prevented that, but the initial purchase of an S-2 would be the way to go over this scenario. While there are some gains to be made graduating from an S-1 to an S-2, the total price to do so could have put you into some upper end racks in the SML series for the same money. While the conversion kit itself is only a $ price, you might be better off putting that money toward an SML or S-4 rack with better features. So far in this article, we’ve looked at the history of weightlifting as a sport, we’ve looked specifically at the squat as a weightlifting move, and we’ve looked at the development of the squat rack to support that lifting move. We know that a squat rack can also be used for other lifting moves, predominantly the bench press. Depending on the features and design, many squat racks can also support some body weight exercises, such as pull-ups and dips. The ten squat racks we investigated were a good cross-section of the entire Rogue line. 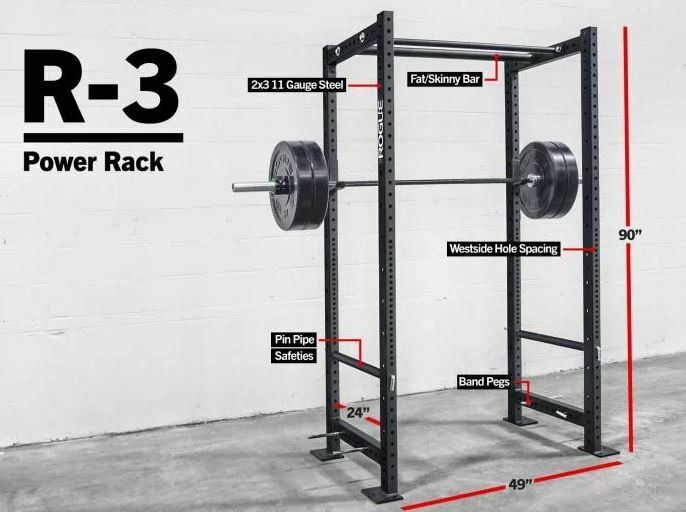 We included a couple of specialty racks, like the S-1 to S-2 conversion kit and the Kid’s Squat Rack. We looked at two professional level units, the Combo Rack and the Mono Stand. We checked out an import, the York model, and an introductory type rack, the Echo. The others had similar costs and functionality, but still had several differences to differentiate each one. At this point, we need to make some recommendations around these racks. But what are the criteria we will apply in making the final recommendation? Who are the customers? And what are their needs from these racks? Let’s look at this from a couple perspectives. Let’s start with an experienced lifter, who has been at this a while, and now wants to expand his routine to incorporate squats. He will be looking to build some serious leg, chest, and arm strength, and wants a fairly heavy-duty rack to support higher weights, but doesn’t want to pay an arm and a leg for it. Ideally, he will find a unit that supports all the basic lifts like presses and squats, but can be added to in the future for even more flexibility. Our second lifter is a relative novice to the sport, and is looking at weight training as a way to tone up his body, gain overall strength, and reap the associated health benefits from weight training. This lifter would like a budget-priced squat rack, with basic features. The ability to add options for future needs is a plus, but not a hard requirement. His available space is a little tight, but not a constraint. He works out by himself, so safety features are important. As we go through the list, the primary selection drivers will be the suitability of the rack for personal use, and the combination of price – value – functionality for the squat rack. This is reflected in the rating I have assigned in the table earlier in this article. All right, so let’s get right into the deep water, and identify the squat racks that represent the best overall value for our two fictional weight lifters. Right off the bat, I’m going to knock out the two specialty racks from our list – the kid’s squat rack, and the S-1 – S-2 conversion kit. The conversion kit only has value to you if you already have an S-1, and want to add a pull-up bar to it. You still end up with a good, but basic squat rack, and have spent the same, or in some cases, more money than an upper end machine would have cost you. So, given this niche market, we’ll drop the conversion kit. As far as the kid’s rack, it has much the same issue. While I get the concept, for just a few dollars more you could move to the York stand and have one unit that would work for both kids and adults, due to its adjustable nature. Before too long, the kid’s squat rack would just end up headed to a garage sale, and you’re left with nothing. So off it goes. The next two I’m going to drop off are both exceptional quality machines, but way, way more rack than either of our two fictional lifters will ever need. Both the Combo Rack and the Mono Stand are geared to high-end commercial establishments, or professional level training rooms. Given the $$$ and (very high) $$$$ prices, they don’t represent the best values that this exercise is seeking. So, at this stage, we are left with numbers 1 – 4 on the table, and numbers 8 and 9. The next one to drop out is the #9 squat rack, the York FTS. This imported rack features telescoping uprights, allowing a 20” adjustment for both the bench press and squat moves. While it has basic functionality, and a reasonable price, I question the overall stability of the unit, particularly when fully extended. Placing additional weights on the storage pegs might alleviate this somewhat, but weights are meant to be lifted, not stored. At this point, I really start to struggle with the ratings, and coming down to the “best of the best” rating. The five squat racks left on the list are all very good quality, and, with one exception, all in the $$ price range. The overall ratings do vary somewhat, though. Difficult indeed, but here we go. 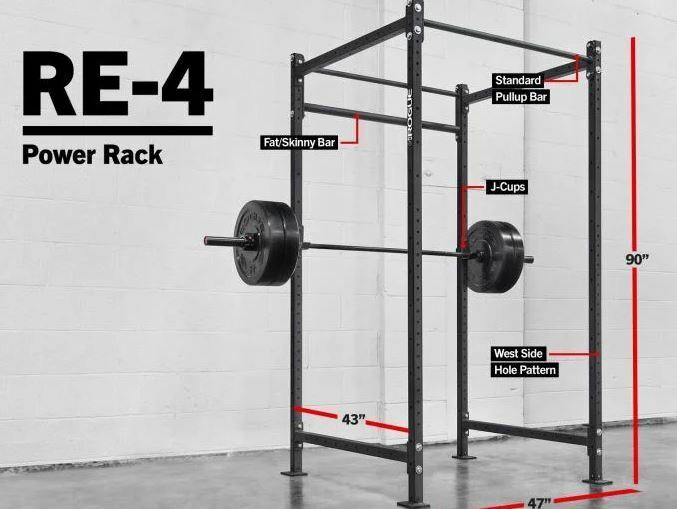 The next rack to discuss is the Echo squat rack, with a $$ price and a 4.6 rating. This is a strong contender, offering all the basic functionality, no bells and whistles, but also not expandable, and with no options for upgrade. While perfectly suitable for a novice lifter, my recommendation would be to spend a little bit more money, and get one of the remaining racks with better features upgrade capability. Let’s now look at the first of the Monster line of squat racks left, the SM-1. This rack is a bit of a hybrid – either an upper end squat rack, or a lower end power rack. It’s built solid, and has a compact footprint and height for use in smaller spaces. It starts out with a $$$ base price, but, with a long list of optional equipment, it would be pretty easy to put this into $$$$ range. It has a 4.9 overall rating, but given the pricing compared to the others left on the list, I am crossing this one off. And then there were three. Let’s cut over and look at the S-4. This is another 4.9 rated squat rack, but with a $$ price. This is an independent rack, consisting of two separate upright bars, each mounted to its own base. You get the advantage of a small footprint and easy storage, but lack a pull-up bar, and there are no available options other than a bench. One detriment to me is that there are no safety arms available with this cup; you have to rely on the J cups if you lose control of the bar. So, the bottom line here is that these two units are virtual twins, and it really comes down to picking a color. The $$ price range makes them affordable to either the novice or our experienced lifter, and both have a number of options to expand their functionality. Both of these units qualify as our “best of the best”, but the top five certainly are quality units that would work well for either application. This wraps up the product review on the ten Rogue squat racks. I hope, if nothing else, that at the end of this, you do indeed know squat. With roots back to imperial China and ancient Greece, weightlifting has long been established as a competitive sport. The Chinese used weightlifting as a measure of strength for admittance to their armies, and in the first Olympic games, the Greeks used weightlifting to measure the strength of their men, and to improve their ability to compete. The basics of weightlifting are fairly unchanged from these early periods – lifting a heavy weight over your head. While this has evolved, from lifting rocks and stones, to using high tech weightlifting bars and weight plates, the core concepts remain the same. Let’s take a look at the two basic components in today’s weightlifting world. First is the weightlifting bar, or barbell. In its simplest form, it is a long metal pole, and weight plates of various sizes are slid onto the bar. In today’s world, however, this is a complex, highly machined piece of steel, designed and engineered to support hundreds of pounds of weight, flex as it is picked up off the ground, and stress as it is dropped from height after the lift. Next are the plates. Ancient Greek pictorials show men lifting large stones with holes cut in them as handholds. These weights evolved into large bulbs which could be filled with sand or water to get to the desired weights. Today, these plates are milled to tolerances in grams, and designed in conjunction with the barbells to produce a matched set to incredibly tight tolerance. 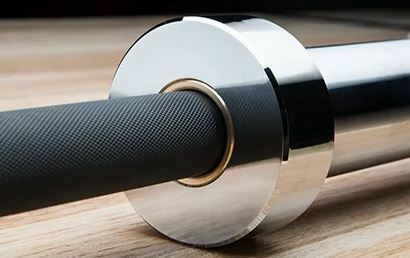 Given this, the minimum equipment to become a weightlifter is quite simple – you need a weightlifting bar, and you need some weight plates. Having these gives you access to an exercise to improve your strength, flexibility, muscle tone, and overall health. But there is another element beyond this, which can enhance your personal safety while lifting, give you access to more and different lifting moves, and enhance your overall weight lifting experience – a weightlifting power rack. So, what is a power rack? In general terms, it is a steel cage, which, at its basic level, has four upright, vertical bars, connected at the top and bottom with horizontal bars. 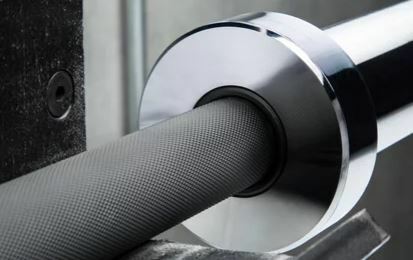 It has two basic functions – it acts as a rest, or holder, for your barbell as you start or end a specific lift. 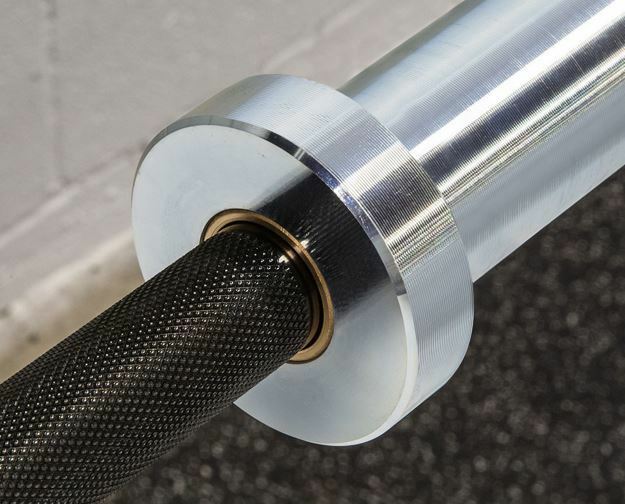 It also acts as a spotter if you work out alone – a way to stop the weight from falling, or pinning the lifter inside the rack – by having safety catches and spotter bars within the cage. So what advantages are there with a weightlifting rack, that you don’t have with a bar and plates alone? We will talk about this in more detail later, but there are some advantages. These include the ability to do different and additional types of lifts, adding body-weight pull-ups into your routine, and enhanced safety, if you work out alone. 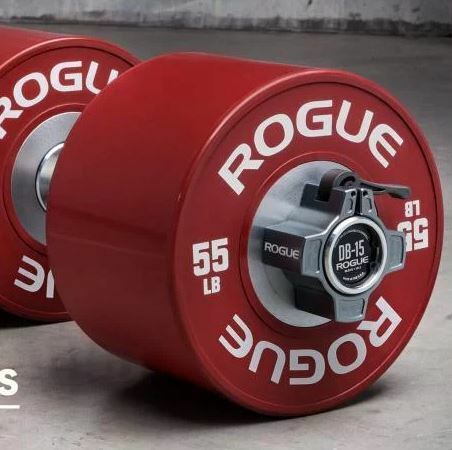 In this article, we will be reviewing ten different weightlifting power rack versions, all manufactured and/or distributed by Rogue Fitness. We’ll also highlight the best features of these racks, their costs, and assign them an overall rating based on quality, value, and performance. This section of the article will take a quick, high level look at ten different power racks sold by Rogue Fitness. They are presented in ratings order, high to low, as explained later in this document. Further on in the article, we will look into detail at each of the racks, and make some recommendations on which might be the best fit for the consumer. Prices are based on the standard configuration power rack, with no extra customization. 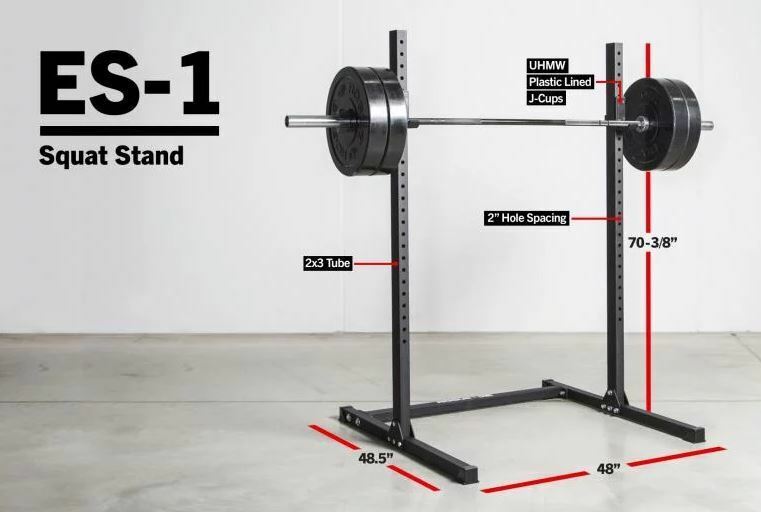 The Conversion Kit (#10 above) is $ by itself, but if you purchase one of the two compatible squat racks the total price moves into the $$ bracket. There are three generally recognized levels of weightlifting – powerlifting, weightlifting, and weight training, also known as resistance training. Powerlifting at competition level consists of two basic weight lifting techniques. Each of them starts with the weight on the ground, so there are no benefits to the power lifter in using a rack, other than cross training with different lifting movements. Weightlifting normally consists of using heavier weights for repeated movements, until muscle failure is reached. The purpose of weightlifting is muscle and strength development, and a weightlifting rack can assist with that. Weightlifting movements may consist of lifts such as the squat (weight across your shoulders, bending down to flex the knees, then driving up with the legs to return to the original position), bench press (laying on a weight bench, lowering the weight to your chest, lifting until an arm lock position is reached, and then lowering the weight to your chest to repeat), the shoulder press (similar to the bench press, but done in a sitting position) and the deadlift (starting with the weight on the floor or a low bar of a rack, then raising the weight to your waist level). Weight, or resistance, training normally is done with lighter weights, but with more repetitions. The goal of weight training is body toning, not large muscle development. Other benefits improve strength improvement, improved health, and added strength for improved performance in other sports like football or basketball. A weight rack can be very helpful for this type of workout, and can even enhance safety, if the individual is working out alone. The weight rack can also be used for various body weight exercises such as pull-ups. The maximum capacity of weights that can be safely loaded on a rack is not normally listed in the product specifications, however, the user can get an indication of the capacity based on two factors. First is the overall construction of the rack – size of the uprights and crossmembers. Lighter capacity racks will have smaller uprights, and lighter-weight hardware. Second, as you look at options available with the racks, most of them offer plate and bar combinations. The weights of the plates offered is a strong indicator of the overall rack capacity; anything sold as an option is definitely compatible with the rack strength. This is the overall height of the rack. This could have significance based on the ceiling height of the location of the installation. It can also have an impact based on your personal height; a pull-up bar at six feet from the floor, when you are over six feet tall, will impact how you perform the exercise. There are two overall important elements when examining the footprint of a weightlifting rack. First is the space available in the area where you will be assembling and using the rack. The second is the inside dimension of the rack; the distance between the two upright posts. The inside dimension needs to be wide enough where you can work both comfortably and safety within the confines of the rack. The weight of the rack and other factors, may require the rack to be bolted to the floor in the location where it will be used. This will be clearly defined in the specifications of the unit you are considering. Bolting down the unit, will obviously limit your flexibility in moving it between locations, such as outdoors in the summer and indoors in the winter. You will also see this referred to as Westside hole spacing. In Westside spacing, the area where you will perform bench presses has the holes spaced one inch apart for greater flexibility and comfort in performing the lift; the distance between the bench and the bar can be adjusted based on your individual measurements. Below and above this area, the holes are typically spaced at two inches apart. On upper end racks, you will see numbers assigned to these holes to help you make sure the pegs and bars are set at the same height inside the cage. Hardware will give you a good indication of the overall stability, strength, and capacity of the rack. Some weightlifting racks will use 1/2-inch bolts for assembly; top-end, heavy duty models may use 1-inch hardware. Every rack needs some type of peg system where various shaped holders will be placed to rest the bar. Lower end racks may use an L-shaped bracket, where the bar rests on a 90-degree angle, like the letter “L”. The disadvantage here is containment; it is easy to move the bar off the peg. Better racks will use a cup like the letter “J”. Here, the bar can’t roll out on its own; a slight lift is needed to clear the curvature of the peg. Depending on the rack, the features will vary. A top-priced rack may have all the bells and whistles, with very few options, while a lower-priced rack may require the purchase of additional options to get all the features you need. Some of the more common features or options include pull-up bars of different diameters to improve grip strength, dip bars, post for attaching resistance bands, a safety strap or safety bar system, and pegs for weight plate storage on the rack. Like just about anything you buy, price is an important consideration. Price can be affected by the extras you want or need – special features, upgrades, improved specifications, and options to the basic unit. It is no different than buying a car. If you have three children, a two-seat car is not going to be right for you. If you are a competition or serious weightlifter, buying a base rack from your local department store is not going to be right. On the other hand, if you work out only on weekends, you probably don’t need an expensive weight rack system. Whatever you decide to do with your purchase, the emphasis should be on value, not just the purchase price alone. So, you already have some information on various weight rack systems. You know that there are lots of different models, each with a set of standard features and available options, and widely varying price ranges. How do you match what you want, with what you need, and what you can afford? One element is frequency of use. If you are a serious weight trainer, and working out three to five times a week, the rack you select will have different requirements than if you throw some weights around for a half-hour on Saturday morning. A second consideration is the weight capacity of the unit. Some of these units are designed with smaller sized uprights, and smaller diameter hardware than others. No matter what weight range you lift, you will still need to purchase a sturdy weight rack, but will you really need the heaviest bar construction and hardware? Next, location, location, location. Where will you be doing your workouts. Remember that a weight rack can require very little permanent space, like the wall unit we will review later on in this article, or can require quite a large space, like some of the racks in the Monster series here. Are you going to assemble your rack in a temperature-controlled room inside your house, where you don’t have to worry about wide temperature swings from hot to cold, or humidity, which can cause oxidation and rust? Or will your unit be in an ambient temperature environment, where the steel coating becomes a more major consideration? Will you be using equipment you already have with this rack, or buying a full, ground up set? 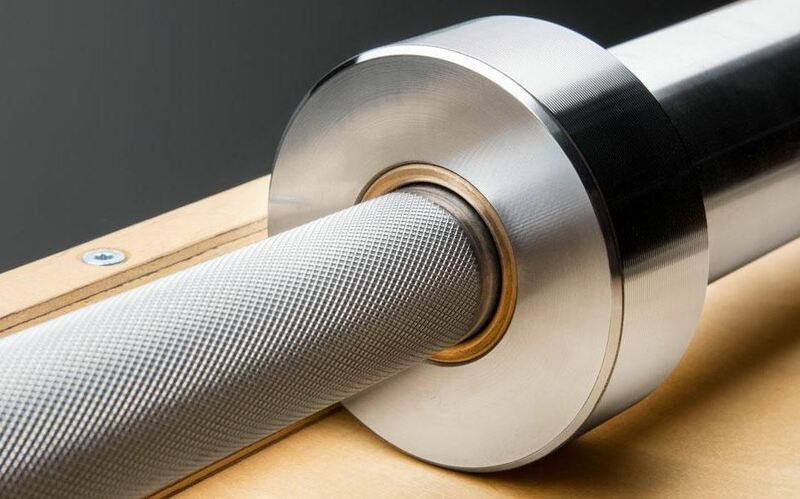 If you are going to use existing equipment, you have to verify that the bar style and length are compatible with the rack, and that it will fit correctly and safely into the retaining system, whether J cup or L cup. Some racks have plate storage capability, and you will also need to ensure that is compatible with your plates. You now should have some idea about how all these individual features and specifications fit together to comprise a weight rack system. Because this information has been at a fairly high level, it is also important to drop down a notch, and take a look at each of these ten racks in more detail. In the next section, we’ll look at overall impressions of the system, the advantages and strengths of the rack, and any disadvantages or missing features that could affect your purchase. This economy matches up many of the features from the other “R” series rack, with a $$ price and a 5.0- star review, so it would seem like a no-brainer purchase. However, be cautioned there are only two reviews on this product on the Rogue site. So please set your expectations accordingly. Built with 2”x2” rails of 11-gauge steel (the lower the gauge number, the thicker the steel), this is a solid unit, clocking in at 190 pounds. Assembly hardware is ½”. It comes with standard skinny and fat grip pull-up bars, J-cups, and a set of four pegs for resistance band training. A 52” x 52” footprint gives plenty of work area, without taking up a ton of space, and the unit is just over 90” tall. A good utility rack, without a lot of features, but certainly versatile enough for the novice or experienced lifter. Available plate sets go up to 260-pounds, so plenty of weight and bar capacity. Black-coated steel construction, with plastic protection J-cups for durability. J-cups are welded to the frame, so placed permanently. Unit must be bolted to the floor unless extra stability bars are purchased. No attachments are available for dip stations or plate storage. Safety bars are optional equipment. The hole pattern is 2” in the bench press area, 6” elsewhere. It’s difficult to draw firm conclusions based on the limited reviews. While the unit covers all the requirements of a basic rack, that’s pretty much all you can get. Options are very limited, and it’s disappointing, that the safety features are optional rather than standard. Despite the low cost and the rating, it is probably worth looking at other racks in the R series. This rack is a beast in every aspect, including the $$$$$ price! Given all the configuration options, there is not a weight given in the specs, but you’re not going to carry this box by yourself. This rack is geared for the professional athlete, elite gymnasiums, and college level athletic rooms. If an individual buys this rack, he will most likely be passing it on to his kids. Available in eleven different colors, this rack has a giant 80” x 53” footprint, and comes in three heights from 90” to 108”, allowing for varied pull-up bar placement. The rack is built with 3” x 3”, 11-gauge steel and 1” hardware. 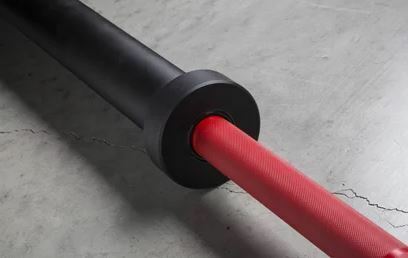 A pin and pipe safety system is standard, and an optional safety strap system is rated to 10,000 pounds. The standard, moveable J cups come with a high molecular weight plastic coating, and are rated at 1000 pounds. Given the size and weight of the rack, no anchoring is required. Laser cut numbers make hole alignment easy when placing the J cups. The rack comes standard with four pegs for resistance band training, and 8 storage posts for weight plate storage. With all the available options, there are innumerable combinations of standard and optional equipment to make this rack complete in any application. This is a full function machine, and I can’t imagine instances where it would not be fully suitable for use. The only real drawback to this rack is the $$$$$ price, which likely moves it out of the realm of all but the most dedicated lifters, and into the realm of professional aspects or commercial training facilities. This rack is probably beyond the reach of even the most dedicated lifters, based on overall price and all the bells and whistles both standard and available as options. Its likely home will be in high school, collegiate, or professional weight rooms. However, if money is no object, you absolutely cannot go wrong with this weightlifting rack. If space is at a premium for you, this might be the rack system you need. Two available depths, 21” or 41”, give the lifter flexibility in determining the inside usable area. The 4.9 rating and lifetime warranty are a strong indication of the quality and durability of this rack. When stowed away, it takes up only 5” of space off the wall, which makes it perfect for a garage application where you still need the car inside. Constructed from 3” x 3” 11-gauge steel, with 5/8” hardware, this is a heavy-duty unit, at either 63 or 190 pounds, depending on the depth configuration chosen. The steel has a black powder coating for extra durability. The Westside hole spacing is 1” apart in the bench press area, and 2” apart elsewhere on the rack. This unique design allows the lifter the functionality of a standing weightlifting rack, without permanently committing the floor space for one. A heavy-duty hinge and pin system lock the extended unit in place without excessive movement during lifting. An optional stringer system is highly recommended by Rogue to facilitate mounting on the wall. These stringers come with all hardware to securely mount them to a standard wood stud wall. Improper installation could cause damage to the wall, rack, or lifter! The unit is fully functional, but there are not a lot of options available for it, such as dip stations and plate storage pegs. This rack is an excellent combination of design, functionality, and flexibility. For those lifters with space limitations, they can still have a good quality, basic weightlifting rack. The $ price is just one more advantage to this product. This is the smallest of the R series racks, with a footprint of 53” x 34”. The rack can be purchased in a “shorty” version for low-ceiling areas such as a basement. It has decent standard equipment, and there are several optional variations available as well. It’s compatible with other R series racks, so much of their equipment could be added to this model. The unit features everything you need in its standard configuration, including pin and pipe safety bars, J cups, and resistance band pegs. Plate storage is available as an option. This rack has a black powder coated finish, and is guaranteed for life by Rogue. The Westside hole pattern is 1” through the bench press area, and 2” above and below that. 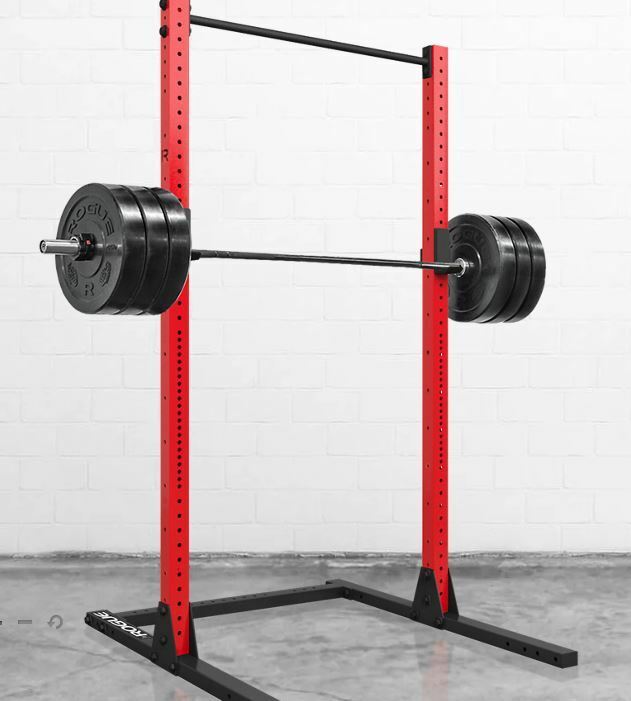 A $$ price and a 4.9 rating combine to make this a desirable rack for the novice or experienced lifter. 2” x 3” 11-gauge steel, with 5/8” hardware, makes this a sturdy and durable weightlifting rack. The expandability of this rack allows you to start on a basic level, and add functionality over time. Having a shorter version available could make this attractive to a wider market base. While the base configuration weighs in at 200 pounds, the unit must be bolted to the floor for safety and security. Some reviewers expressed concern about the tight interior depth for doing squats; others claim it is not an issue. What’s not to like about this unit? Solid, durable, great warranty. Small footprint to increase the flexibility on where it can be used, including the “shorty” version. The unit is expandable to give it almost the same functionality of other more expensive R line racks. Did I say great rating and great price? This is a larger version of the R-3 rack reviewed above. It comes with a bigger footprint, and bigger interior depth, which some rated as a concern on the R-3. Functionality and specs are similar to the R-3, with some additions like a second pull-up bar and standard resistance band pegs. This weightlifting rack has a 53” x 53” footprint, and is constructed out of 2” x 3” 11-gauge steel, 5/8” hardware, and a black powder coating finish. The inside depth of 43” gives ample room for squats and other exercises. Plastic coated J cups, pegs for resistance bands, and safety pipes and pins all come as standard equipment. While a little more expensive than the R-3, this unit still wields a 4.9 rating and a $$ price. While it does not have the “shorty” version available like the R-3, the overall dimensions of this unit make it usable for most home gyms. Standard Westside hole spacing is 1” through the bench area, and 2” above and below. Even with fifty pounds additional weight, floor mounting is still highly recommended for this unit. While it comes standard with a safety system, the preferred Infinity safety strap system is a (rather expensive) option. Like the R-3, there is really not much to dislike about this unit. It is sneaking up to the $$$ threshold, but given the functionality and expandability that should not deter too many. The real differentiator here from the R-3 is the larger footprint and interior dimensions. If those are important, this is your unit; otherwise the R-3 is fully comparable. From the Monster series of racks, this one is “Monster Lite”. With heavy-duty construction featuring 3” x 3” rails and 5/8” hardware this is a solid unit, built for a long usable life. It weighs in at 336 pounds, and has a 53” x 53” footprint. It has decent standard features, and is easy to upgrade with other Monster equipment. Standard equipment includes J cups, pipe and pin safety bars, two pull-up bars, and resistance band pegs. A dip station and plate storage pegs are among available options. Normal Westside bench press hole configuration is standard on this rack. Rogue recommends that the unit be mounted to the floor unless a stabilizer bar is added. Both the mounting hardware and stabilizer bar are available at extra cost. The unit has a 49” x 49” interior dimension working area, and comes in a black powder coating finish as standard. From a quality ranking perspective, this is another 4.9 rated unit, and a price still in the $$ range. This unit has several options available for upgraded equipment and features, which can be added over time to prevent the initial “sticker shock”. A wide variety of custom colors are available for this unit. Floor mounting is recommended for this unit, and buying either the stabilizer bar or anchor kit actually pushes this unit up into the $$$ range. This unit is kind of the middle child. 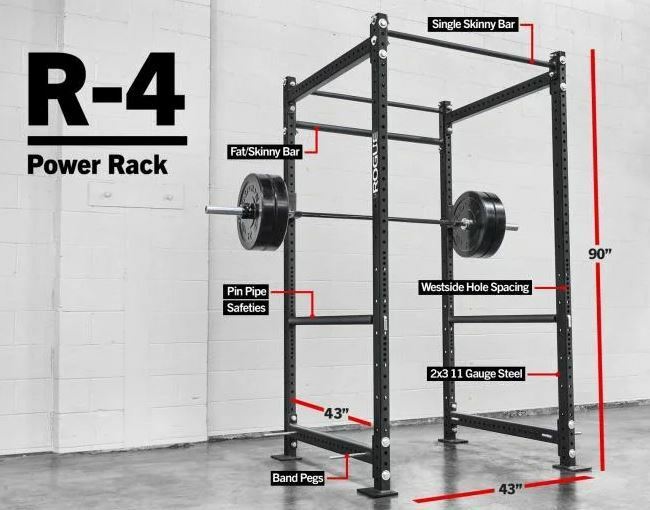 Unless you need the extra stability for lifting heavier weights, the R-4 is probably enough rack for you. If you are lifting heavier weights, the RM-390 might be a better fit, as it has more upward potential. There are no major issues with this unit; it just seems to me, there are better choices right above or below it. Back to the true monsters here. This rack comes with very heavy-duty construction, solid weight and footing for stability, includes a lot of bells and whistles, with capability for more. We edge into $$$ pricing with this rack, but it has standard features that would cost you extra in other models. The satin black finish makes it attractive, as well as functional. This unit comes with the big guns – 54” x 50” footprint, 24” inside depth, and 93” tall. Big enough for squats or any interior lift, and tall enough for most to do dead weight body hangs from the pull-up bar without touching the floor. The rack features 3”x 3” 11-gauge steel uprights, and 1” bolts and hangers for assembly. With a weight of 336 pounds and a self-stabilizing footer, this unit does not require floor mounting. Laser cut numbers on the hole spacing make matching heights across the unit simple and efficient. Very strong standard features, including pin and pipe safety system, extra-strong Monster J cups, and all assembly tools included. Rubber coated foot guards protect flooring and prevent any movement during rack usage. This rack is compatible with many other Monster accessories, including dip stations and plate storage pegs. We’re not to Monster RM6 price levels, but we are well into $$$ range. Add in a couple accessories and this unit will break into $$$$ pretty quickly. In reality, you are getting a slightly upgraded RM-3, without the requirement to bolt it to the floor. This is a solid unit, but starting to sneak up there in the price range. For an individual user, it’s a bit of a stretch. You do get some extra strength and stability, but pay a pretty dear price for it. Other units will do most of what this one will. I see this rack more in the realm of gyms and weight training rooms, not individual homes. This, along with the wall-mount unit we looked at earlier, is another modified version of another rack; in this case, the R-3. The selling and marketing advantage(?) of this unit is that it is shipped unassembled, ostensibly so you can more easily maneuver it up a tight staircase or low ceiling area. Other than that, it is a standard R-3 unit. With a 53” x 34” footprint, and 24” inside depth (with a 30” depth option available at extra cost), this is a medium sized unit that should be able to find a home in any home or garage. At 90” tall, the unit is assembled from 2” x 3” 11-gauge steel uprights, using 5/8” bolts and hangers. 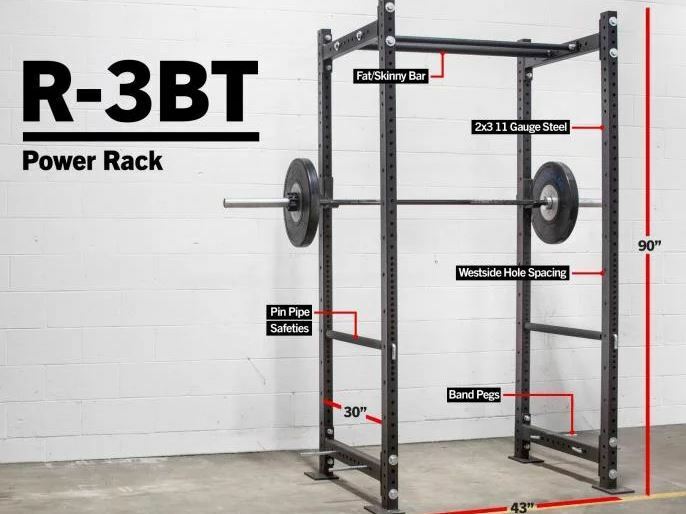 Like the standard R-3, this rack has all the basics you need for weightlifting, and is expandable with several compatible features and options from other R series racks. A $$ price and a 4.8 rating combine to make this a desirable rack for the novice or experienced lifter. I have to admit that I just don’t get this. The advantage of this rack is you can put it together yourself; the disadvantage of this rack is you have to put it together yourself. And, surprisingly, you actually pay a slight premium for the privilege of assembling it. I’m sure there are occasional instances where this rack might make sense, but I’m guessing the vast majority just buy the R-3. I think we have another step-child here. The combination of a high-end $$$$ price and, by Rogue standards, a low 4.8 rating would move me to push this one off to the side while shopping. An attractive rack, finished in a semi-gloss powder coat finish available in ten colors, it has many of the same features as the RM6, but seems to be just a little off, top to bottom. This rack has the same 80” x 53” footprint as the RM-6, the same 3”x 3” 11-gauge steel, but dropped down to 5/8” hardware for assembly. At 530 pounds, floor bolts are not necessary. Westside hole spacing is 1” through the bench press area, and 2” above and below. This is a very heavy-duty machine, with lots of bells and whistles. 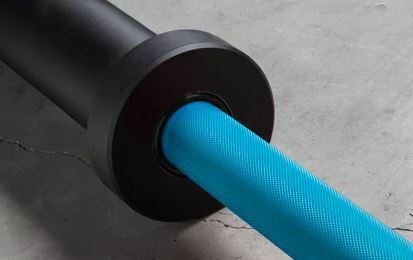 Pipe and pin safety system, resistance band pegs, and bumper plate storage posts are standard. There are many opportunities beyond color choices for customization, including height and depth of the rack. There are no numbers assigned to the holes as in the RM-6, making alignment of pegs and safety equipment more difficult. Given all the weightlifting power racks offered by Rogue, this combination of high price and lower quality rating makes this a bad value. Unless there is a big sale or some other event to stimulate demand, I don’t see this RM-6 “wannabe” being a good purchase. You can get a full-featured RM-6 rack for a couple hundred bucks more, or drop down to a 390 or 490, get similar functionality and specs, and save some serious money. This might be a great commercial machine, but to me the value is just not there. This kit allows you to take a couple specific Rogue squat racks and convert them into a half-sized weightlifting rack. By doing so, you get more spotting (read as safety) options, and improved storage for you weight plates. The uprights are made of 3” x 3” 11-gauge steel, and create a half-rack with a 1000-pound weight capacity. 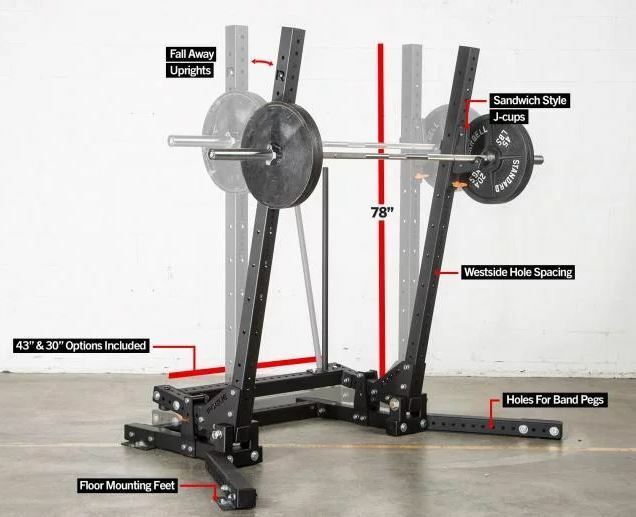 The conversion kit gives you the two uprights, plates for attaching the uprights to the squat rack, two cross-members for attaching at the top, and all the required hardware. Addition functionality, such as long and short plate storage pegs and a pin and pipe safety system are optional and at extra cost. This conversion kit lets you expand the functionality of your existing Rogue S-2 or S-3 squat rack. The purchase of optional features let you increase plate storage on this piece of equipment. If you buy just the conversion kit, this is a $ item, but brings with it only a 4.6 rating. If you were to buy both the squat rack and conversion kit, the item is $$. If you have the right Rogue squat rack in your equipment, and want to expand the functionality of it, then this conversion kit might be worth looking into. However, I really don’t see any circumstances where you would buy both at the same time. For the same or a little more money, you can get a full rack, with improved stability and greater features and functionality. This purchase is probably only for a small niche market. As we noted earlier, weightlifting goes all the way back to ancient civilizations, like the Chinese and Greeks. The initial tools for this were simple; men used either their own body weight, for such things are rope climbing, or natural tools, such as rocks and stones. The Scots to this day have competitions over how far they can throw tree trunks, and circus strong men were among the earliest lifters. Strength has always been recognized as a desirable trait, and weight training and lifting enhances that trait. In the late 1800s, more formalized weight lifting competitions began to evolve, starting in western Europe. In the modern Olympic games, weightlifting made its first appearance in 1896. Apparently, there was insufficient interest garnered in the event, as it did not appear as an event in the 1900 Olympics. The early history was a bit checkered, as it was competed in the 1904 games, but not in 1908 and 1912. The 1916 games were cancelled because of World War I, and, when the games revived in 1920, so did weightlifting. Prior to 1932, there were no weight divisions in Olympic lifting. In 1932, five different weight classes for lifters were established, allowing them to compete with opponents of common size, across three specific lifting movements. Women did not officially compete in Olympic weightlifting until 2000, but women were active in several different organizations and competitions well in advance of their Olympic debut. The earlier versions of today’s weightlifting racks were known as Smith Machines. The original concept was advanced by Jack Lalanne, a very influential person in the early days of American fitness. In the 1950s, Lalanne was looking for a machine to allow him to do squats without having a spotter present. While working with a friend, Rudy Smith, the first concepts of the machine were crafted. Smith arranged to have a prototype built, and then managed to work it into a chain of gyms owned by Vic Tanny. By the 1970s these machines were common in gyms all over the US. At this point, we have an understanding about the evolution of weight lifting through history, and have seen how the equipment used in weight lifting has moved from rocks and stones to today’s plate, racks, and bars. The focus in this section has been, so far, on the professional and elite lifters. But those groups are in reality just a small niche in the weightlifting market; let’s take a look at how weightlifting fits into the lives of the everyday man and woman. We know from earlier discussions here that weightlifting and weight training are two different things. Most people using free weights are involved in weight training. They want to gain strength, improve their overall fitness, and develop firm muscle tone. All of these targets lead to an overall goal of improved health and well-being. Weight training can improve bone density, and can help you maintain or even lose weight, as muscle burns more calories than fat. It can increase heart health by improving aerobic capability, and lowering one’s cholesterol profile. Weight training is a very simple way to gain numerous health benefits. By incorporating a weight rack into weight training, the lifter is able to improve his lifting safety, and reduce the risk of injury. With the various safety features incorporated into the racks, lifters can use heavier weights than they could without the rack. In the course of this article, we’ve looked at the history of the sport of weightlifting, its origins, and the types of competition within this sport – strongest man competitions, the Olympics, and so on. The detailed review undertaken on these ten racks looked at both common and unique features and specification. Knowing what we expect as performance criteria from these racks, we looked at both the pros and cons of their ability to deliver these expectations. An overall impression of the value and placement of each rack was also assessed. This selection was a cross-section of ten Rogue weightlifting power racks. Most of them were standard, floor model racks, but, within that range, there were super heavy-duty racks for the elite athlete and racks for the average guy. We threw in a couple specialty racks, including a conversion kit and a wall mounted rack. So, from this list, let’s get started choosing the west weightlifting rack choices. First, let’s identify the customers for these racks. We’ll look at this from two perspectives. Customer A has been weight training for some time, and is getting ready to move up from his department store equipment into something a little further up the quality scale. He feels a rack will help him meet his overall strength goals, and provide him safety considerations, as he typically works out alone. Customer B is a novice lifter, just getting started in the sport, and looking for a good value investment in a weight rack to help him meet his goals. The major decision points for each will be the cost of the rack, and the overall value provided by the rack. The “best of” racks should be suitable for personal use, not just designed for the commercial gym or professional athlete. We will not, however, automatically exclude those higher end racks; if they provide the right mix of cost and value, they will be selected. So, to summarize, my selection of “best of” will be driven by the pros and cons of the equipment, and the mix of price and value. 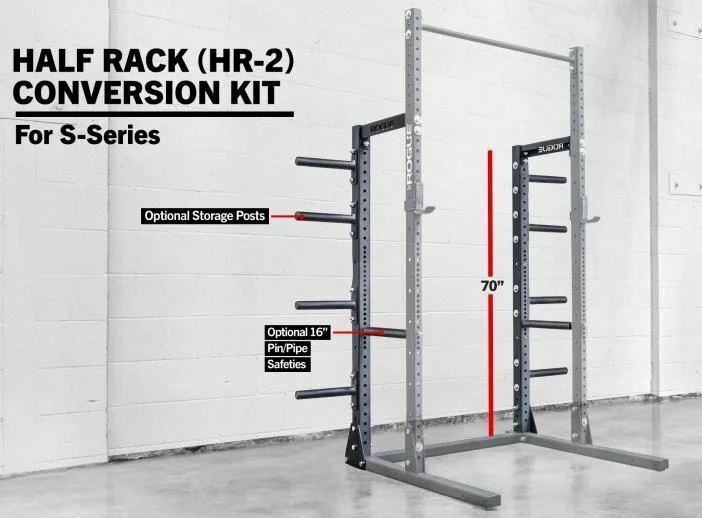 Let’s begin this exercise by looking at the #10 rack on the list, the HR2 conversion kit. 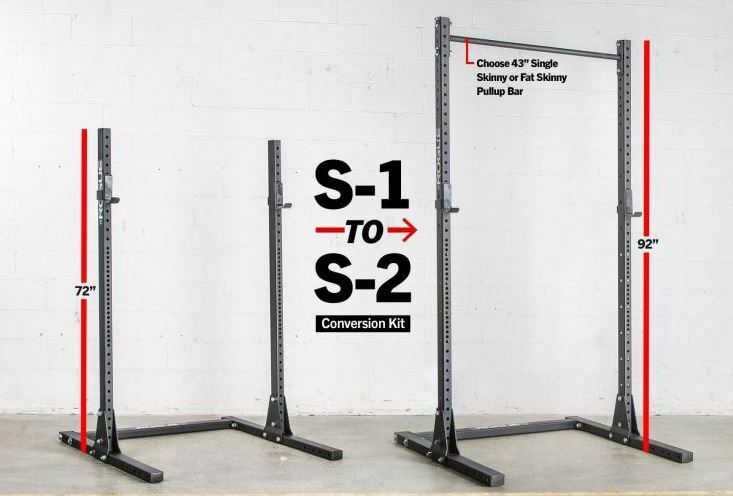 Rogue has two models of squat rack which can be modified by installing this conversion kit, turning it into a half rack set-up. This unit would probably have a very limited market, and, for that reason, it will be dropped from out “best of” list. Number 9 on the list is the RML 690. This is a very heavy-duty machine, probably geared more to the commercial or professional market than the personal one. As we discussed above, this one falls in between the absolute top end model and a couple other very good models in different price points. So, based on the high price scale for this model, and the availability of similar models at lower prices, we drop the 690 from the list next. The next model, #8, is another specialty model, the Bolt-together R3. This one is pretty much the same machine as the R3 Power Rack, but it comes unassembled, purportedly to allow for maneuvering it up tight stairways or in rooms with narrow doors or low ceilings. Okay, an interesting concept, but is it really worth paying more than the standard R3 model, and then having to take the time to assemble it? Off the list it goes. Let’s drop down to #3 on the list, the RML 3W wall mount rack. This is unique, in that it is a wall-mounted, fold up version of a full-size rack. It would be perfect for a garage application, or a multi-use room where you could not leave a full rack set up all the time. It has to be securely mounted, for obvious reasons, so portability is out of the question. It is also, again, geared to a niche market. I’d say this is probably not a great step-up choice for our experienced lifter, but could be a good starter rack given its $ price and 4.9 rating. For those reasons, while recommended, I’m going to throw this one off the list. To take a quick recap, we have three racks left for consideration as “best of the best”; #4, the R3 Power Rack; #2, the RM6 Monster Rack, and #1 the RE4 Echo. Let’s start out looking at the RM6 rack. This is a huge, heavy duty, fully versatile weightlifting rack. You get everything with this rack, even a choice of almost a dozen colors. But let’s be realistic here. Unless you are a professional or competition level lifter, or an elite athlete, the $$$$$ price of this rack is going to chase away most individuals. This is a rack you would most likely find in a top end gym, or in a professional or collegiate weight or training room. 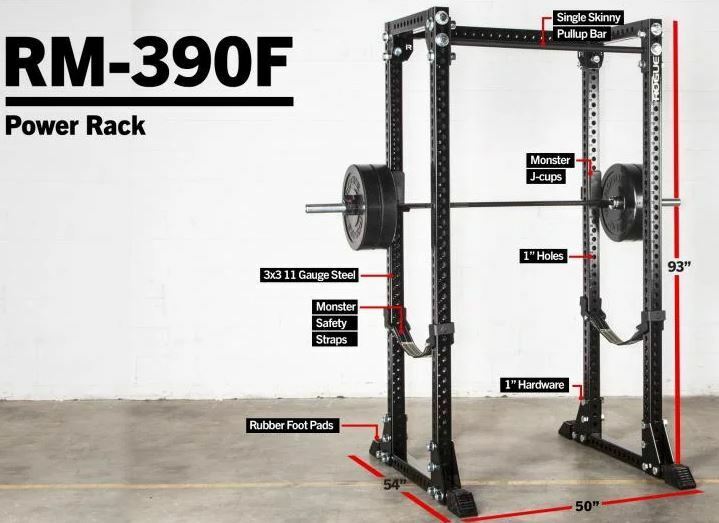 It blows away almost every other rack on the list with a 5.0 rating, but it is way too much rack for a novice, and even a move-up rack for an experienced lifter. There are too many highly functional racks on this list that would suffice for those fictional people. So goodbye to the RM6. This leaves two racks – the RE4 and the R3 Power Rack. Both have the same $$ price point, and are almost identically priced within that range. The RE4 has a 5.0 rating, but qualified; the R3 has a solid 4.9 rating. The qualification on the RE4 is that it only has two reviews in total; the R3 has almost 100. The Echo has 2” x 2” rails, and is assembled with ½” hardware. The R3 has 2” x 3” rails, and is assembled with 5/8” hardware. Advantage R3. The Echo has a 52” x 52” x 90” tall footprint. The R3 is 53” x 34” x 84” or 90” tall. The shorter version is available for locations where ceiling height is a consideration. Slight advantage Echo for having a deeper working area, but positive to the R3 for the different height availability. Advantage Echo. Both units require floor mounts. Advantage to neither. The Echo has a 2”/6” Westside hole pattern. The R3 has a more standard 1”/2” pattern. Advantage R3. Safety bars are optional on the Echo, but standard on the R3. Advantage R3. When you stack up these two racks side by side, for me, it’s no-contest; the R3 Power Rack is the clear winner. Time may prove out the 5.0 rating on the Echo, but with just not enough user comments, and some technical disadvantages, the R3 is clearly the better rack. It has solid capability for the experienced lifter (although some of the other models might be better move-ups for a very experienced lifter), and is a perfect rack for the new lifter. Realistically, you could not go wrong buying any of these racks, and it was a very tough task trying to identify enough differences between them to pick the best of the best. Hopefully this article has given you some knowledge and guidance for your first or next weightlifting rack purchase.